What is Travel Ban? The Travel Ban was instituted in January 2017 by executive order of President Trump to prevent entry of foreign terrorism. The Ban completely shut down the entry of all citizens of 7 Muslim-majority countries. Even though it initially sparked outrage and was struck down by several courts, the ban was ultimately upheld by the Supreme Court in June 2018. The reason for that was a waiver provision that allowed individuals with ties to the US who pose no national security threat to enter the country. 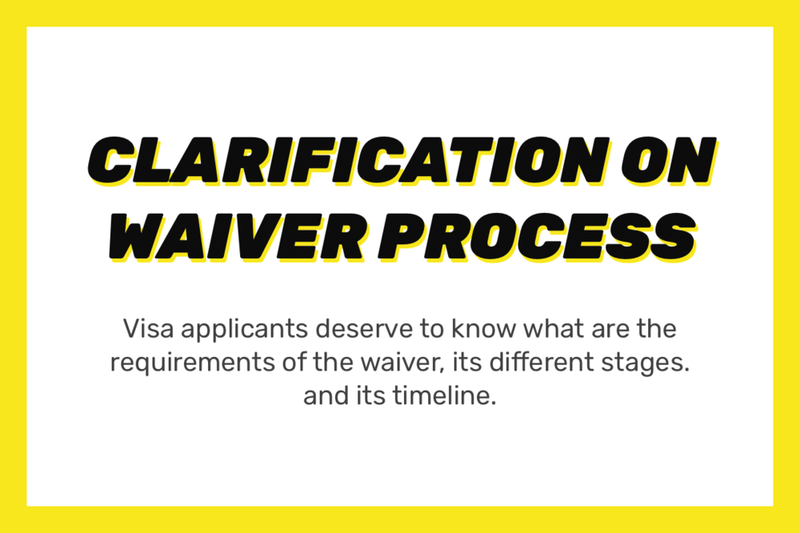 However, after two years, the waiver is proven to be a window-dressing. Less than 2% of eligible applicants received waivers while tens of thousands are stuck in administrative limbo for many months or years.That’s why we decided to create a collective voice showing what the Ban means for the nationals of the banned countries and also expose how it is being implemented. We have crowdsourced 106 videos from Iranians, Americans, Iranian-Americans, Syrian-Americans, Syrians, Somalians, and Yemeni individuals who are affected by the ban. We were able to get more stories from Iranian citizens as a result of two factors: our personal ties to the Iranian community which facilitated outreach, and the fact that among the 7 nations included in the ban, Iranians are affected disproportionately and in larger numbers. Most of those affected by the ban are very concerned about their privacy. They refuse to speak up; because they are afraid an official in department of state who will review their application would come across their video or comment about the travel ban, and reject them because they are “upset”. For most, the stakes are too high: living with a loved one, future professional opportunities, or their current immigration status. They cannot take any risks. Following the news of the travel ban, our observation was that many people chose not to pursue their plans for visiting or immigrating to the US. 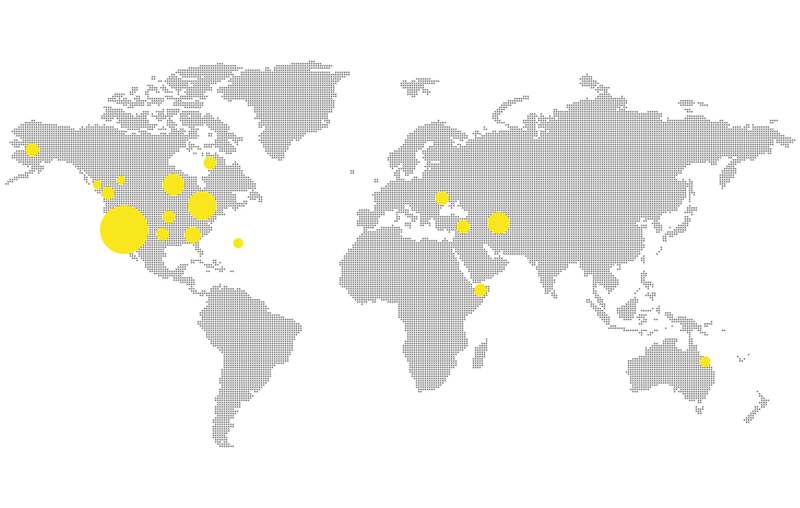 The visitors chose other destinations, professionals started considering other countries if they had the option to. One group however, stuck to their plans despite the travel ban: family members of US citizens and permanent residents. They have no choice but to reunite with their spouse, child, or parent who is already living in the US. We are not the first to mention this, but it is very important to highlight that one of the key factors leading to the victory of the ban in courts was a waiver provision which would supposedly allow those with strong reasons to come to the US do so. However according to two former consular officers they were told to deny or delay almost all waivers, hence the 98% rejected waivers. Sarah Gardiner, who is a former foreign Service officer, has shared her experience with us and it is in consistent with stories that people have shared in their videos. These stories show how waiver requests of deserving applicants with the most legitimate reasons, extreme hardships, letters from senators, post-doc position and Etc. have been rejected or is in administrative processing for months with no updates or end date. Those affected immediately by the ban are actually people who started the immigration process a long time ago. They made their most important life decisions and plans based on the law of the land at the time. As they were approaching the finish line, the law changed. And it worked retroactively, meaning it affected everyone with a pending application. Among the many people who are banned are advanced degree students, professors, scientists, artists, and businessmen. Even when they are granted visas, the majority receive a single entry visa. That means if they leave the United States to visit their family (or to attend a conference, for a business trip, etc. ), they need to re-apply for a visa. With Travel Ban this is impossible. Now they are stuck in the US, unable to see their families for years and too invested to simply “go back to their country”. Many green card applicants have been waiting for months after their approval to finalize the last steps of the process or receive the physical card. For them it is about years of navigating the costly immigration process, only for the ban to block them just before they could see the light at the end of the tunnel. Now, they are stuck in a bureaucratic limbo with no end in sight. Interested to see more stories or add yours? Please share this page to get people’s voices heard and initiate change.